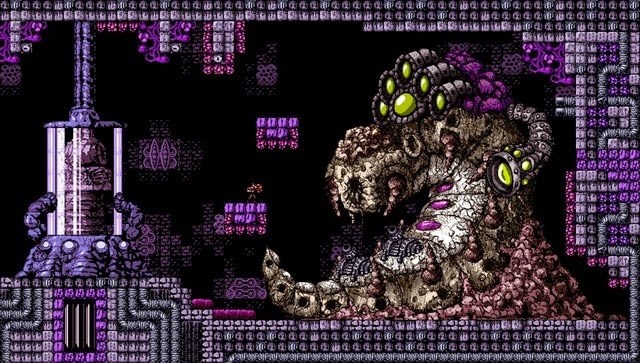 2D game fans have been waiting a long time for Axiom Verge... Developer Tom Happ originally started development on the game as a solo project in 2010. And if you're a PS4 owner, then you're in luck, because the game is now available! But if you're gaming on PC or Vita, then you still have a while to wait, as the game isn't slated to hit those platforms until the end of 2015. This game wears its Metroid influences on its sleeve with a large world to explore, lots of interesting weapons, plenty of backtracking, and no small number of complex boss encounters... plus a focus on glitches. Get it now on the PlayStation Store, or check out the game's official site for more info.